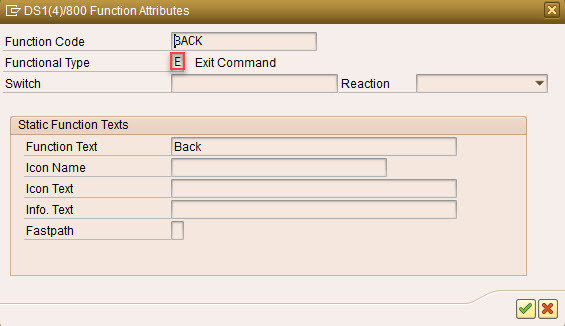 Sometimes when copying GUI status form standard program, buttons (like back button) stops working. Double click on the button which is not working. Make sure that the function code and the functional type has been assigned to the button.